David Gibson, age 64 of Pleasant Hill, passed away Friday, February 8, 2019 at his home. David was born in Dayton, OH on August 22, 1954 to William E. & Velma L. (Studebaker) Gibson. David is survived by his beloved wife of 44 years 11 months, Carol A. (Baker) Gibson; mother, Velma (Studebaker) Gibson of Pleasant Hill; two sons, Jason M. & Kimberlee K. (Kier) Gibson of Nevada, Iowa, Daniel L. Gibson of Pleasant Hill; a son and daughter-in-law that David thought of as his own, Gregory K. & Melinda (Sporek) Van de Grift; two grandsons, Jordan T. Gibson and his girlfriend, Emily Engelman of Ames, Iowa, and Corey A. Gibson of Nevada, Iowa; three step-grandchildren, Desmond Sprowl of Troy, Terrell Sprowl of Bowling Green, OH, Jasmine Sprowl of Sidney; one grandson that David thought of as his own, Stephan Sporek of Covington; brother, Daryl E. Gibson of California; sister, Vickie S. (Gibson) Neil of Florida; father-in-law, Donnie Baker of Greenville; sister-in-law, Martha (Baker) & Tom Baker of Greenville; brother-in-law, Larry Baker of Greenville; numerous nieces, nephews, great-nieces and nephews. Preceded in death by his father, William Gibson, sister, Velma Yvonne (Gibson) (Shouse) Clark and mother-in-law, Joan Baker. David worked for CF Poepelman Sand and Gravel, Bradford for 28 years, he ended his work career in 2003 when his beloved wife donated him a kidney. Throughout the remaining years more and more health issues were compounded. 2010 was the last year David went deer hunting, less than 24 hours after being in the hospital. He killed a trophy buck, 16 points. 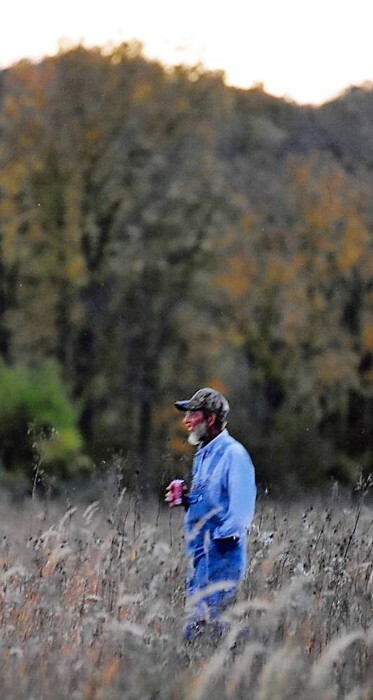 David was featured in two magazines and received several certificates that he proudly displayed with his buck. David will be deeply missed by family, friends, doctors and nurses at UVMC & OSU. Funeral service 10:00 AM Thursday at Fields of Grace Worship Center, Covington with Pastor Scott Deane officiating. Visitation 5-8 PM Wednesday at the church. In lieu of flowers, donations can be sent to: Heartland Hospice Memorial Fund, 333 N. Summit St., P.O. Box 10086, Toledo, OH 43699-0086, Condolences may be left for the family at www.stockerfraley.com.